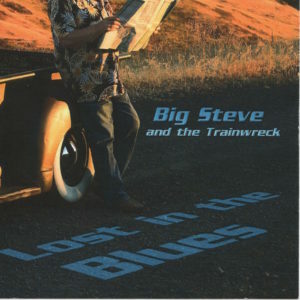 Lost in the Blues is the fourth release from Big Steve and the Trainwreck, a tight, eight piece band from the Pendleton area — and while the band may be lost in the blues, what’s not lost on us is that this album is one more example of the terrific music fermenting in every nook and cranny of Oregon. The Trainwreck includes Steve Humphrey (Big Steve) on vocals and harmonica, Albert Tibbits on guitar, Dan Mitzimberg on keyboards, Dave Chorazy on trumpet, George Plaven on trombone, and Lloyd Commander on sax and clarinet. It also boasts one of the tightest rhythm sections I’ve heard in quite a while — Alan Feves on bass and Ric Walters on drums. 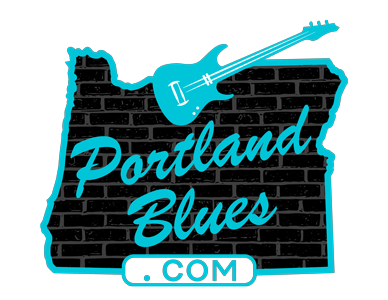 They form a backbone for this music as solid as the Blue Mountains that surround Pendleton. Check out their muscular groove on “Shame of the World” — first-rate stuff. This album explores several musical genres, dabbling in both country-tinged boogie (“She’s Hot” “Beaten Track”) and traditional 12-bar blues (“Slow Burn”), but the band really hits its stride with its Chicago flavored “Bounce” that’s as good a tune as you’re likely to hear this side of Maxwell Street. Humphrey’s vocals slide effortlessly from gruff and throaty to mellow as it weaves around and through some superb horn flourishes. This is a fine, sturdy example of Chicago blues inspired music. Other tunes on the album impress as well. “Boogie with my Friends” lays down a spunky, solid groove that echoes ZZ Top with some tasty harmonica work from Big Steve thrown in to the bargain, and “Trophy Wife Blues” is a witty take on the myriad of problems that comes with marrying beyond your station (hint: she needs more shoes). This is an impressive release, made more so by the lack of any cover tunes. Big Steve penned all the tunes here, with some help on “Goin’ Home” from Albert Tibbits, who supplies some exquisite slide guitar on that number, and he shows a keen ear for authentic blues material. This is an enjoyable and entertaining album that never disappoints — highly recommended.